Under the patronage of Her Excellency Dr. Hanaa bint Jazaa Al-Utaibi, the Vice Dean of the College of Business Administration for Educational Affairs, the Department of Business Administration held a course on "Job Interviews", with the follow-up and preparation of the Deputy Head of the Department of Business Administration, Ms. Ruba Ali Al-Shareef. The course was held on Tuesday, 13 Rajab, 1440 A.H. 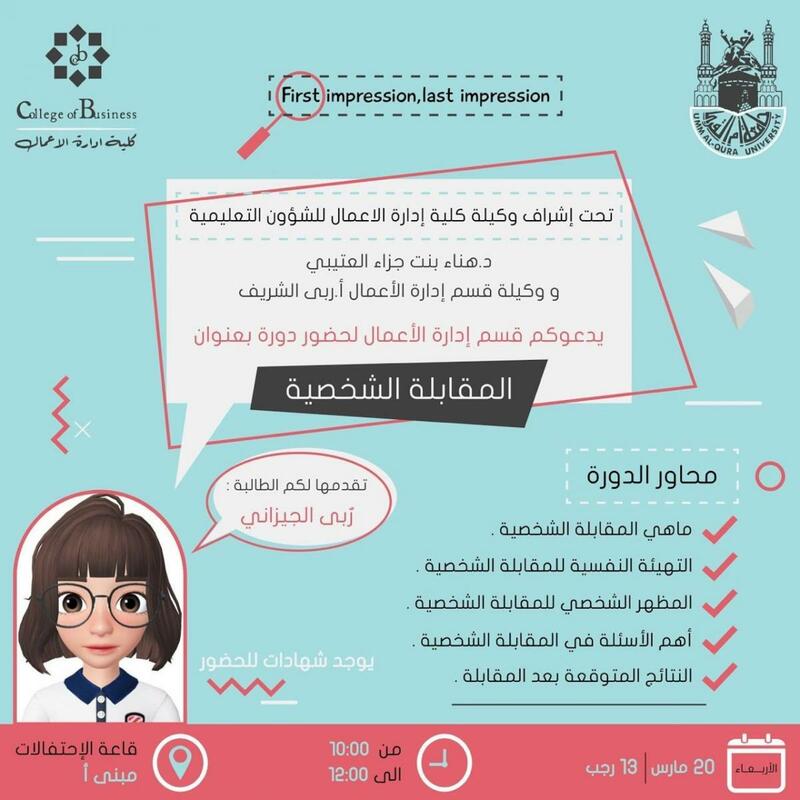 The course witnessed a massive presence of female students, as their number reached 100 female students from all the departments of the College of Business Administration: Department of Business Administration, Department of Marketing, and Department of Tourism and Hotel Management. Moreover, female students from the Makkah Community College attended the course. 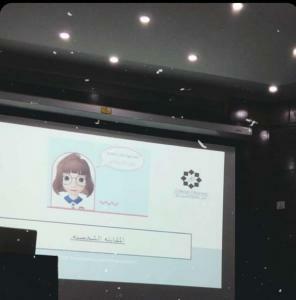 The course was presented by the female student Ruba Al-Jizani. 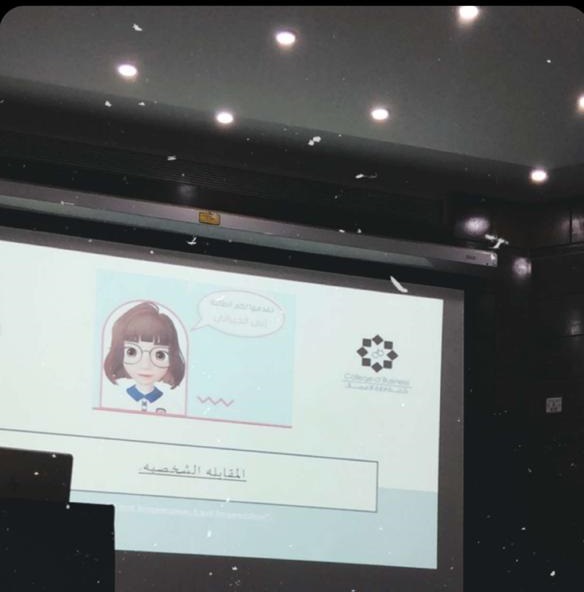 It included several themes informing the female students about becoming psychologically prepared for the interview, the importance of personal appearance, the most important questions posed in the interview, and what result to expect after the interview.